The CSS Selma was a Confederate warship built in 1856 in Mobile. 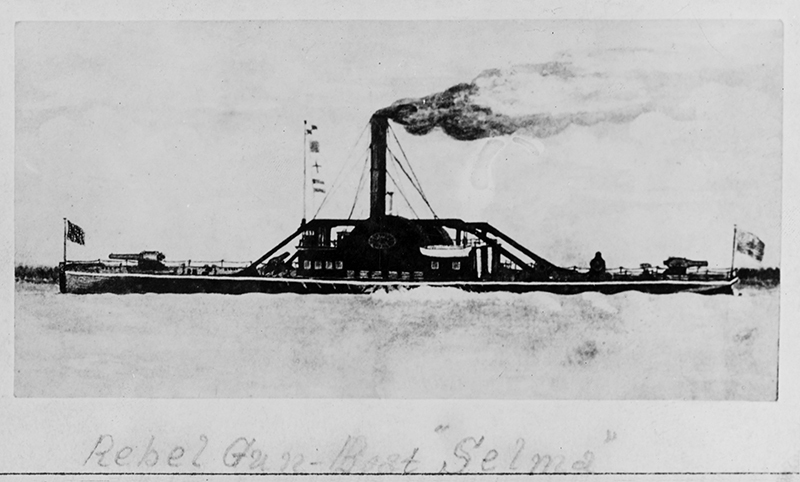 The vessel was captured by the Confederacy in 1861 and converted to a gunship and in 1862 was renamed Selma. The ship fought in the Battle of Mobile Bay and was surrendered to Union forces on August 5, 1864. U.S. Naval Historical Center. Photograph by T. Lilienthal.